Duration: 6 days, 5 nights. Embark on our May 2019 Bourgogne Wine Study Tour with professional-level instruction on site coupled with a certificate program! Burgundy wines are some of the finest, most sought-after wines in the world. Burgundy is a legendary wine region and a reference for Pinot Noir and Chardonnay wines. It is also a complex wine region with its numerous appellations and shared “climats” and is not always easy to understand. Travelling to Burgundy allows you to grasp first-hand the meaning of terroir, the underlying concept which is the basis of its appellation system, and taste and savor many of these exceptional wines. 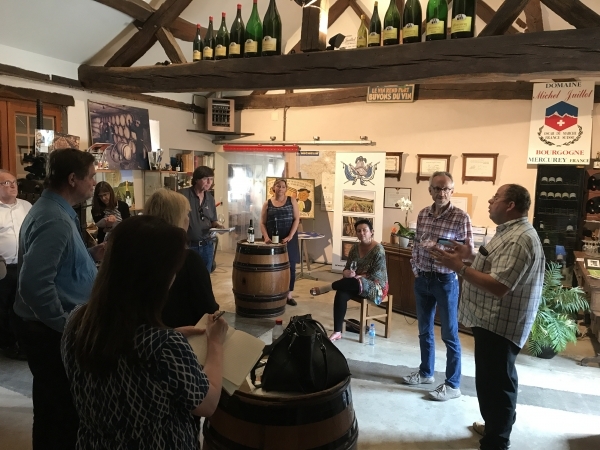 Discover the Burgundy wine region with your instructor, Andrew Jefford, an award-winning journalist for Decanter Magazine, presenter of Decanter master classes and an author of numerous books on wine including The New France. Tour through Burgundy and study the differences in Burgundy wine styles. Discover the prestigious wines of the Côte de Beaune and Côte de Nuits, the bone-dry whites of Chablis in the cooler north as well as quality wines of the Mâconnais and Côtes Chalonnaise. Visit the most celebrated grand crus of Burgundy. 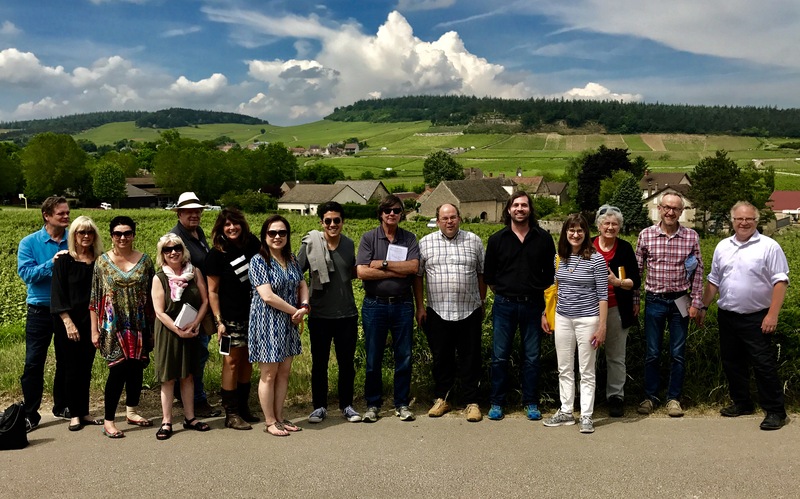 Study the terroirs of renowned vineyard sites and master the intricacies of the appellation and multi-tiered hierarchy system that classifies Burgundy wines. Experience insider tastings with winemakers at top Burgundy estates. Taste different vintages and experience the depth and remarkable quality of these distinguished wines. 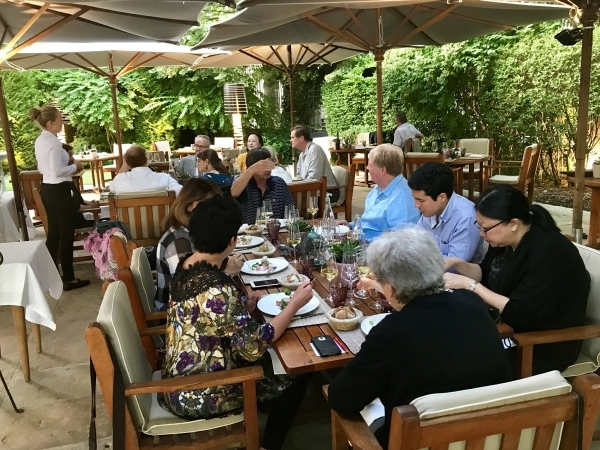 Lunch and dine in the region's best restaurants and discover the fine local Burgundian cuisine paired with the excellent local wines. Travel with a group of wine students who are serious about wine, either as wine professionals or committed wine lovers. 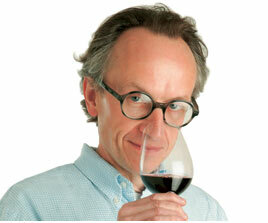 Share an educational, convivial and unforgettable experience while gaining a complete understanding of Burgundy wines. Trips are open to people from all countries, and are held in English. He went above and beyond with a serious and significant effort to enhance the learning value of the study trip through his daily talks on the bus, his commentary on the visits, his portable reference library and his impeccable follow through on every single question that came up""
Enjoyed Andrew’s lectures and accounts which had no wasted words, precise and insightful. He is a true professional and up-to-date scholar (rare) whose precise explanation was very helpful"
Andrew Jefford was gracious, charming, knowledgeable and dedicated. I would love to do future tours with Andrew as leader." Assisting the instructor and making sure logistics run smoothly and that your needs are answered will be Mary Kirk, Sommelière-Conseil. 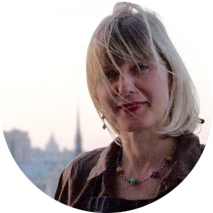 Mary has been leading wine tours in the Loire Valley for over 10 years, and teaches wine in the Paris area. Participants arrive independently in Beaune and check in to 4-star Mercure Beaune Centre, well-located close to the town center. Evening on your own in town, with our suggestions for fine restaurants. Andrew will provide an extensive introduction to the Burgundy region and Chablis in particular as you journey north to Chablis. 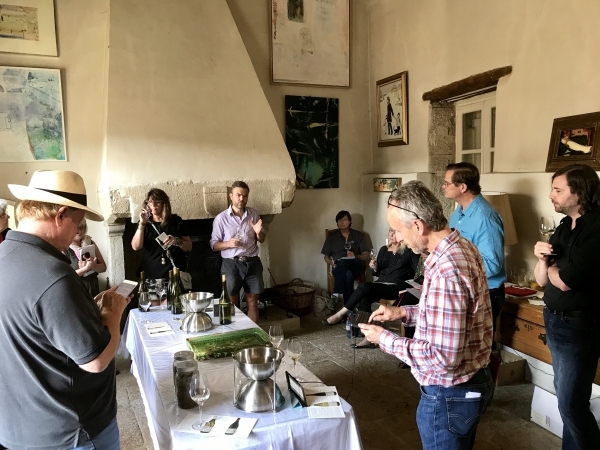 Walk in the Grand Cru vineyards with a representative of Domaine William Fèvre to see the Kimmeridgian terroir, then taste through their large range of wines. After a gourmet lunch at Au Fil du Zinc, visit another great producer like Droin or Louis Michel. Gastronomic welcome dinner in Beaune at 1-star Le Bénaton restaurant. 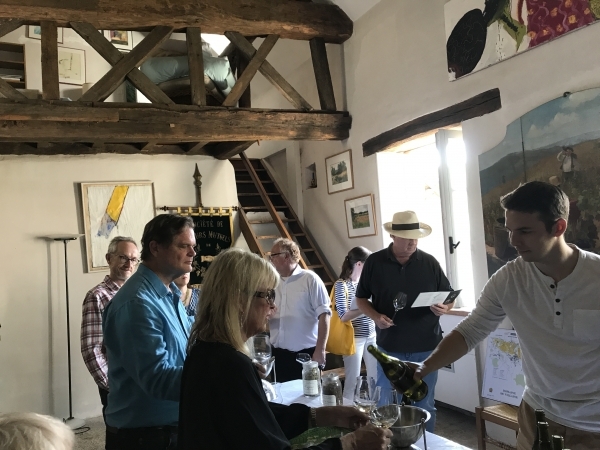 Visit famed négociant Louis Jadot or Joseph Drouhin in Beaune, followed by a tasting of their fine village, Premier Cru and Grand Cru wines. 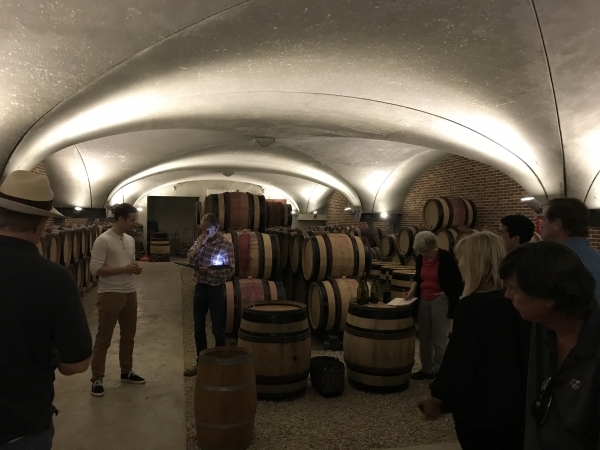 After lunch on your own in Beaune, visit two of the top estates of the Côte de Nuits, like Clos de Tart, Domaine de l’Arlot, Chateau de la Tour or Domaine de la Vougeraie, with extensive tastings. Return to Beaune for an evening on your own with our dining suggestions. 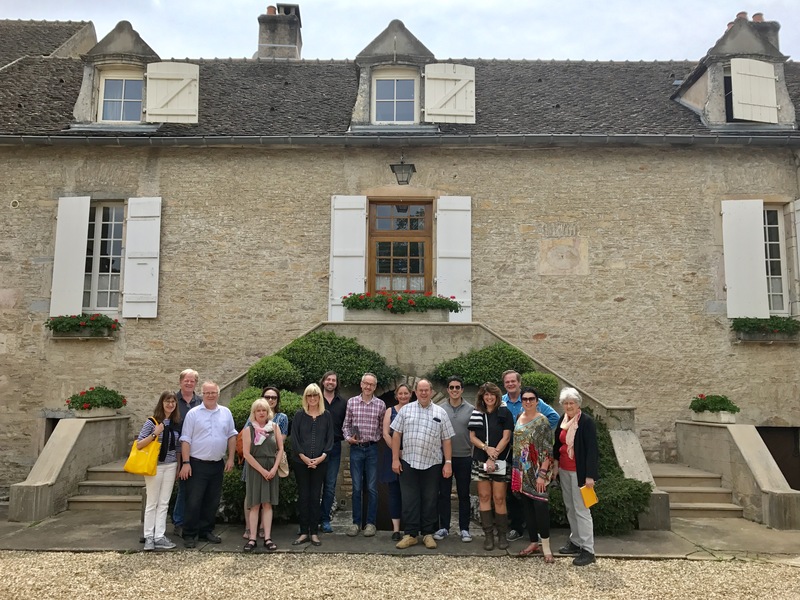 Visit a great estate in Chassagne or Puligny like Domaine Jean-Noël Gagnard, Chateau de Puligny-Montrachet or Domaine de Montille. Enjoy a gastronomic lunch at elegant Le Montrachet restaurant in Puligny. Join Andrew for a walk through the vineyards of Grand Cru Le Montrachet. 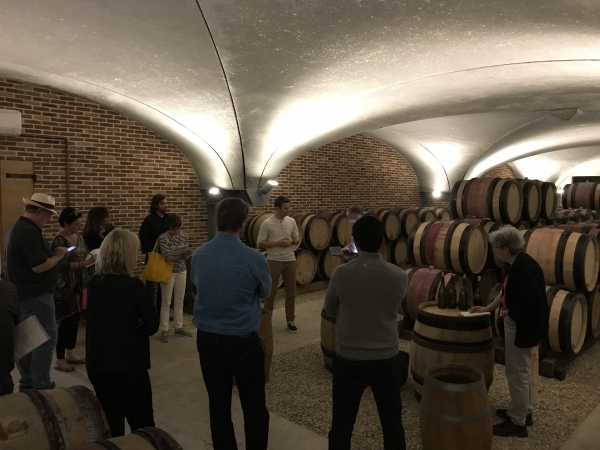 Visit a top estate in Volnay or Pommard, like Domaine Michel Lafarge, Domaine de la Pousse d’Or or Domaine Marquis d'Angerville. The evening is yours to explore Beaune and dine on your own. In Pouilly-Fuissé, the biggest communal appellation in Bourgogne, visit and taste at a top producer like Maison Verget, Domaine Thibert or Chateau de Fuissé. Enjoy a gourmet lunch along the way. This afternoon visit two great producers in the Côtes Chalonnaise, like Domaine du Cellier aux Moines or Maison Faively. Your farewell dinner is at the lovely Michelin 1-star restaurant Jardin des Remparts in Beaune. Back to the Côte de Nuits today for visits and tastings at two elite producers like Clos des Lambrays, Drouhin-Laroze or Anne Gros. Lunch at elegant Castel de Très Girard restaurant. Join Andrew for a walk in the legendary Grand Cru vineyards of Vosne Romanée (Romanée Conti, La Tâche, etc.). Your study trip ends with a group transfer to the Gare SNCF Dijon-Ville train station. * Itinerary subject to change: every effort will be made to keep the itinerary as close as possible to what appears here; however, the final itinerary and estates/winemakers included may vary due to wine producer schedules, availability and factors beyond our control. The wine producers visited during this trip will all be of the highest quality. 5 nights at 4-star Hotel Mercure Beaune Centre in Beaune, double occupancy. NOTE: There are a limited number of twin rooms available (2 single beds). Please let us know if you’d like to share a twin room with another participant to avoid the single supplement and pay the double occupancy price instead. ***After you have reserved your first Study Trip in 2019, you will receive a Multi-Trip Discount of US$150 for each additional Study Trip you take in the same calendar year. This Discount will be deducted from the final balance payment for each additional Study Trip. You must pay in full for the first Study Trip you reserve to be eligible to receive the Discount for additional Study Trips. Space is limited to 15 participants, so reserve your space today! There are not 140 miles of distance between Chablis and the Mâconnais, but rather 45 million years of geological history represented in soils on and around escarpments, coombs, colluviums, fault lines, and bioherms. One visit to Burgundy will make you a terroir-ist for the rest of your life. The landscape is fractured; the vineyards fragmented by extensive multiple-ownership. Bourgogne is both complicated and complex…and seeing is believing. Bourgogne takes the broad French concept of terroir and winnows it down to something infinitesimally exacting within the framework of AOC law. There are approximately 500 AOCs, or designated zones of wine production, in France. One hundred and one of them are in Bourgogne alone. This northeastern section of France representing a 140 miles stretch from Chablis to the Mâconnais, is responsible for 6% of French wine production, yet represents 20% of all French AOCs.